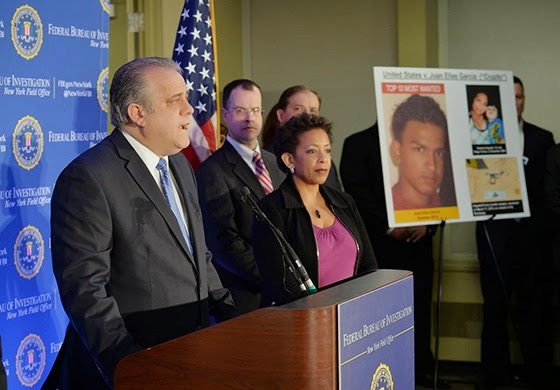 RETRO KIMMER'S BLOG: FBI MOSTED WANTED THUG JUAN ELIAS GARCIA CAPTURED! FBI MOSTED WANTED THUG JUAN ELIAS GARCIA CAPTURED! NEW YORK (Reuters) - An accused gang member put on the FBI's "Ten Most Wanted Fugitives" list this week was arrested on Friday for his role in the 2010 killing of his girlfriend and her toddler son, federal authorities said. 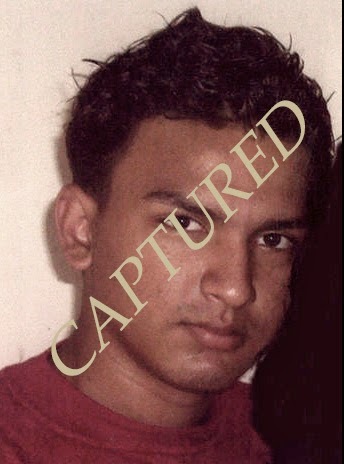 Juan Elias "Cruzito" Garcia, 21, a reputed member of the murderous international gang known as MS-13, was taken into custody when he voluntarily returned to the United States to face criminal prosecution, the Federal Bureau of Investigation said in a press release. Garcia, who has ties to El Salvador, Nicaragua, Honduras, Guatemala and Panama, is accused in the execution-style shooting of the mother and child in Central Islip, New York, authorities said. Victims in the double murder were Garcia's girlfriend Vanessa Argueta, 19, and her son, Diego Torres, 2. After a lovers' quarrel, Garcia was threatened by rival gang members, who he said used information that he believed was provided by Argueta, the FBI said.